$42.50 & FREE Shipping on orders over $59. 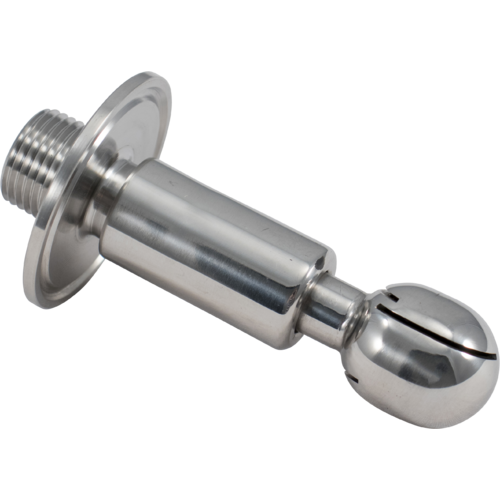 This clean in place spray ball from Ss Brewtech attaches to a 1.5" tri clamp to clean the inside of whatever container you attach it to. 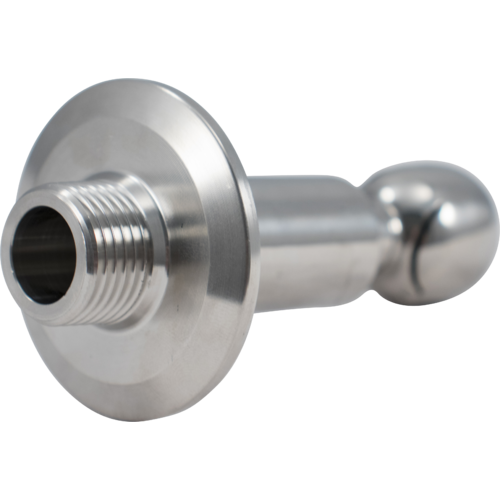 Has a 1/2" MPT and made from 304 stainless steel. The attachment is 2.5 in. 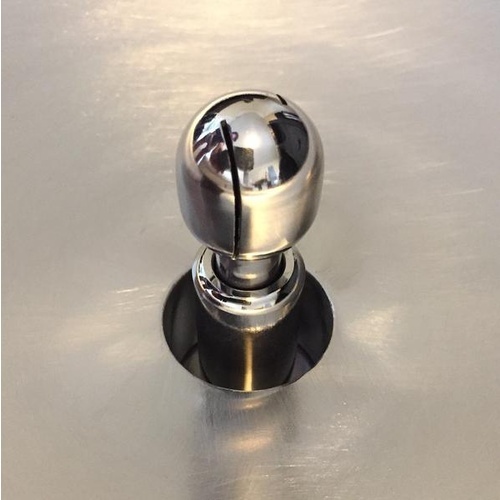 long and 0.75 in. wide. 1.5" tri clamp gasket and clamp not included. A pump capable of 29 PSI minimum is recommended for this product. It would have been better if the spray ball was the same size as the pipe, too insert in a 1" T/C fitting. 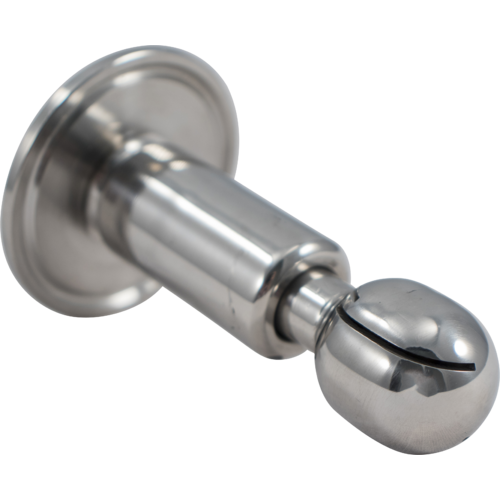 OK for 1.5 inch fitting. All in all works great, low noise when running a CIP on Ferment tank. 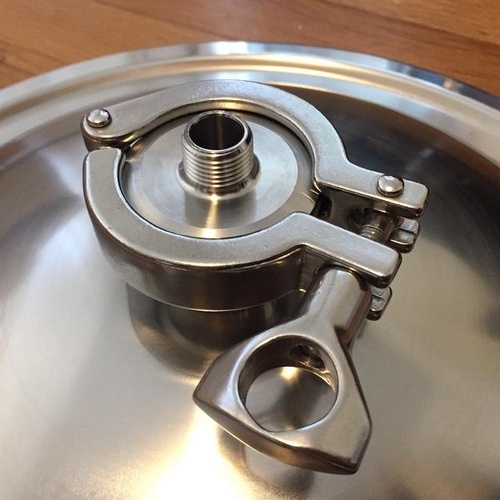 Great CIP fitting, especially for the price. Using to CIP a 27g Blichmann Fermenator. Spins freely. 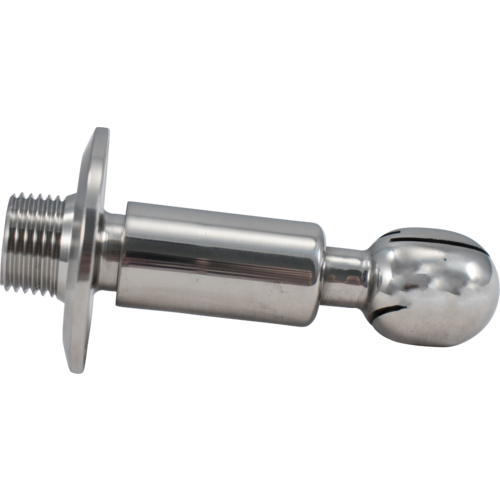 Parts are Sprayball/coupler and threaded 1/2” NPT on both sides of a Triclamp (TC) fitting. Disassembles at the threaded male NPT just below the TC fitting. Sprayball fits PERFECTLY through the TC blow off fitting in the lid of the Fermenator. Background in industrial fluid handling and this is a high quality nice accessory. For the price, nothing better. 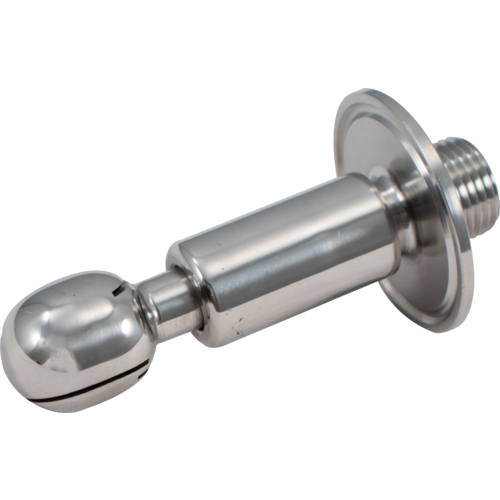 Bought this spray ball to clean in place my 22 gallon fermenters. I used 5 gallons of hot water and PBW then reticulated with my chugger pump, ball worked great, nice coverage. Ran it for about 20 mins and all sides were clean. Happy with its performance.